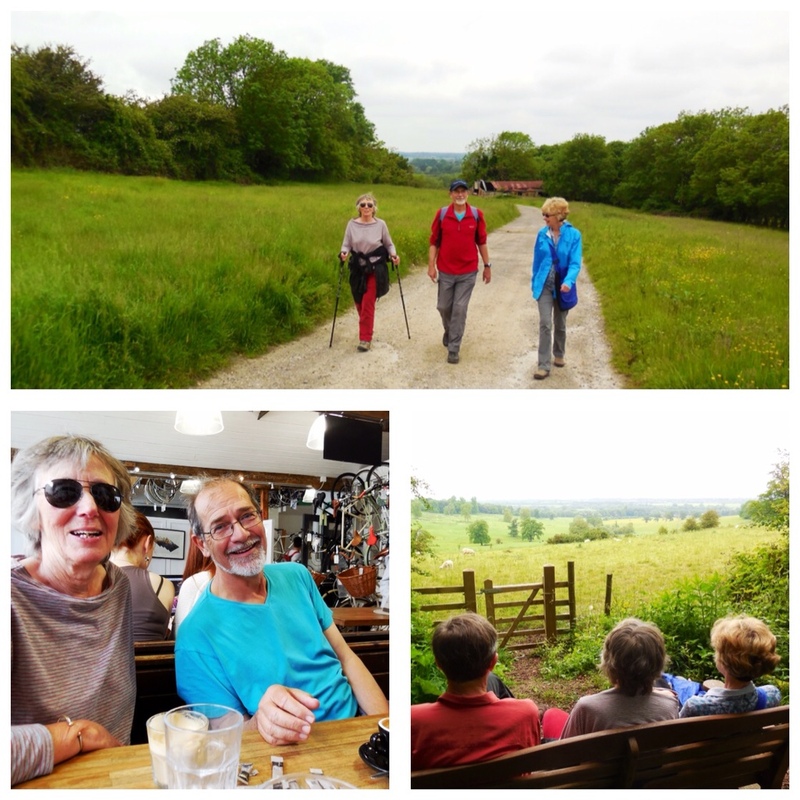 In Great Britain, the only thing easier to find than a walking path is a cafe. Reg conquered the motorways of England, delivering us safely to the home of our friends Ian and Marion, who live just outside Oxford. 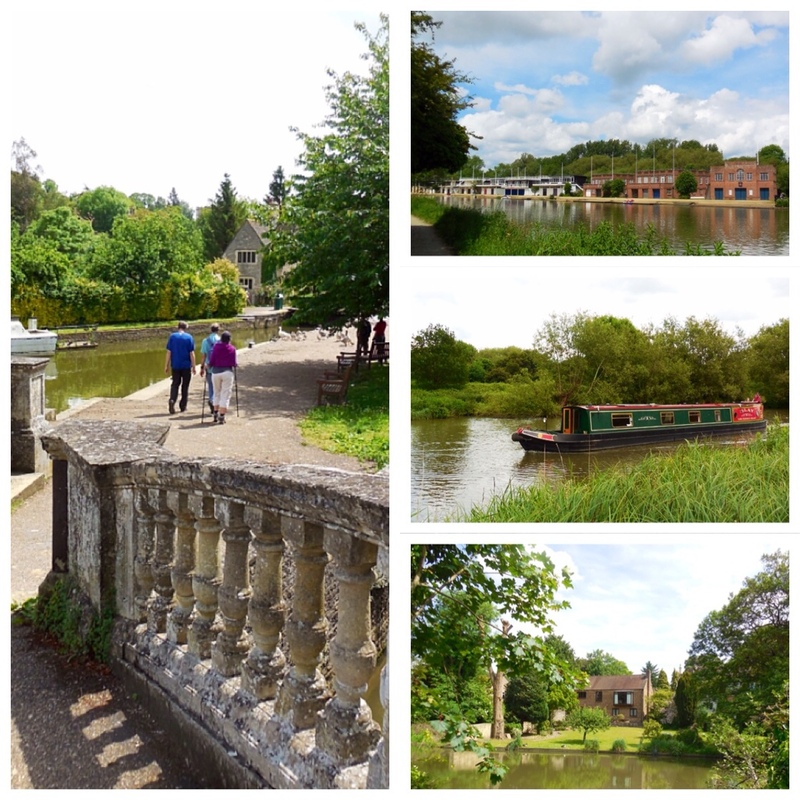 The next day, anxious to stretch our legs and explore, we opted for the short four-mile stroll through the countryside into the city. Once there, we stopped for coffee and a toastie at a little cafe tucked into an upstairs corner of a bicycle shop. Oxford is a fascinating blend of past and present. 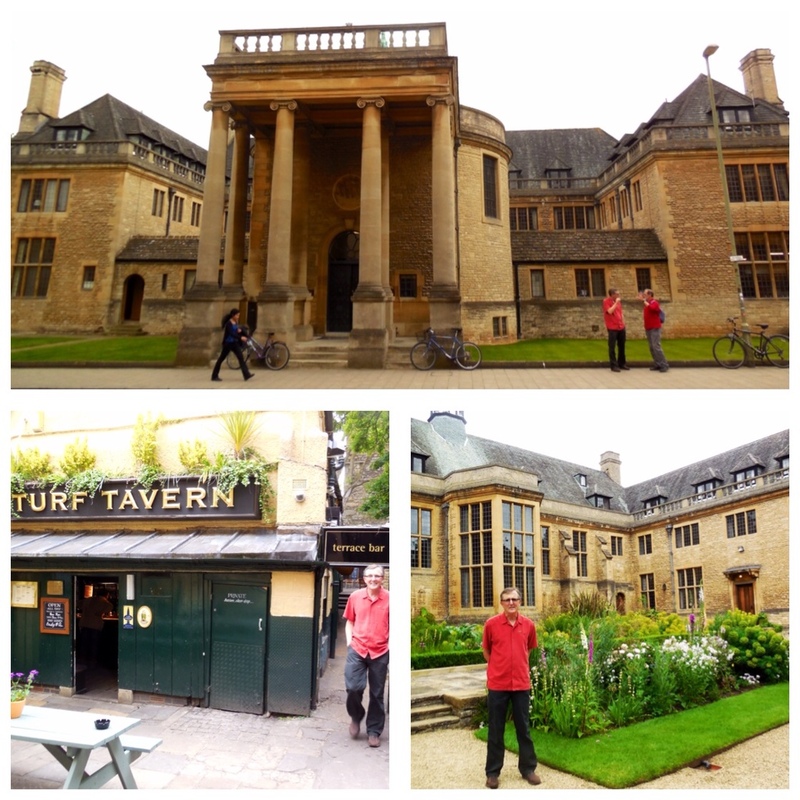 We stopped in at the Rhodes House, home of the prestigious Rhodes scholarships and the Rhodes Trust, to have a look around. The facility is used for educational lectures, seminars, conferences and more. The gardens are beautifully kept and have been tended to by the same gardener for the last seven years. We popped in at the historical Turf Tavern for a cold drink. The foundations date back to the 13th century and the front bar to the 17th. The tavern claims many famous patrons, including Rhodes Scholar, President Bill Clinton. It was here, the story goes, that he famously “smoked but did not inhale.” Truth or fiction??? You decide! We enjoyed a peaceful walk along the River Thames on day two.